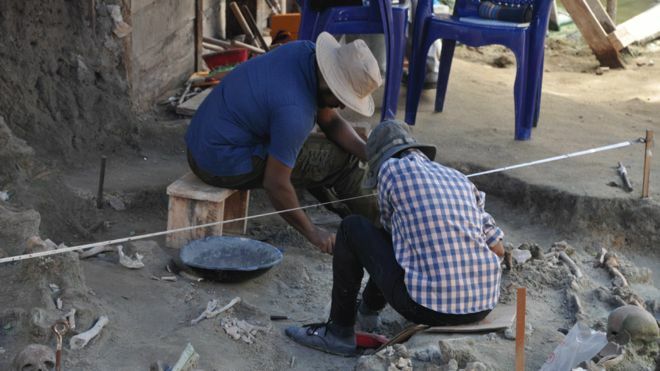 The recent discovery of a mass grave in Mannar town in Sri Lanka’s Northern Province has raised fresh questions about the island nation’s history of violence. It has also reopened old wounds and triggered traumatic memories among the survivors of the deadly conflict that ended barely 10 years ago. Meera Srinivasan reports. On a Monday morning earlier this month, at least four skeletons were clearly visible at the site, while parts of another were protruding from the soil. Where they lay — some piled one on top of the other and a couple to the side — it was at least two metres below ground level, says Mr. Rajapaksa, chief investigator of the latest mass grave to be found inSri Lanka. In March 2018, construction workers stumbled upon human remains while preparing to build a new outlet for the state-run cooperative Sathosa (in place of its old building that had been demolished). 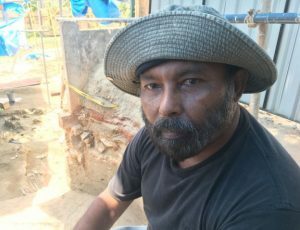 Little did they know that they would be uncovering one of Sri Lanka’s largest mass graves almost a decade after thecivil warended in 2009. At 9.45 in the morning, the shops in the area are open and teeming with customers. With the post office, market and the bus terminus all in the same vicinity, a number of vehicles crisscross the grand bazaar area, orperiyakadai sandias the locals call it. Motorists on their way to work slow down and turn their heads 90 degrees to catch a glimpse of the grave site that has drawn media attention to their otherwise neglected town. It was this “double-edged” fear that Sri Lankan-born writer Michael Ondaatje described in his novelAnil’s Ghost. “There was always the fear, double-edged, that it was their son in the pit, or that it was not their son — which meant there would be further searching,” he wrote, of a fictional grave site with submerged bones. Home to nearly 1 lakh people, mostly Tamils (Catholics, Hindus) and Tamil-speaking Muslims, Mannar is the most religiously diverse district in the north. During the war, the LTTE was in control of mainland Mannar, part of the Vanni region sandwiched between the Sinhala-majority south and the northern Jaffna peninsula. On the other hand, Mannar island itself was, for the most part, under the jurisdiction of the Army and the Navy, recalls Ranjini, quickly pulling out her 1999 “Army IC” or the identity card distributed by the Army, that was used to keep track of those moving between Mannar island and the mainland. 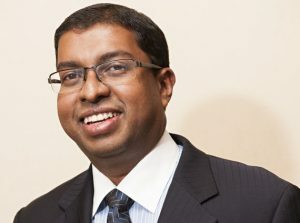 T he government set up the Office on Missing Persons (OMP) in 2016 to investigate the scores of cases of missing persons, reported from both the former war zones in the North-East, and during the state’s ferocious crackdown on radical Sinhala youth in the south in the late 1980s. Amnesty International estimates a total of at least 60,000 disappearances in the country. 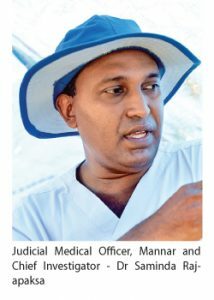 The inquiry into the Matale mass grave found in 2012 in the island’s Central Province has also stalled, despite the left-wing Janatha Vimukthi Peramuna’s (JVP) demands for a full investigation of the site where, some believe, its activists and sympathizers could have been interred during the state repression of the JVP in 1971 and again in 1987-89. Yet another mass grave in Kaluwanchikudy was found in the eastern Batticaloa district in 2014, but the excavation did not see much progress.